We have received a couple of emails asking us about the NICI outlet at 1Utama shopping centre. 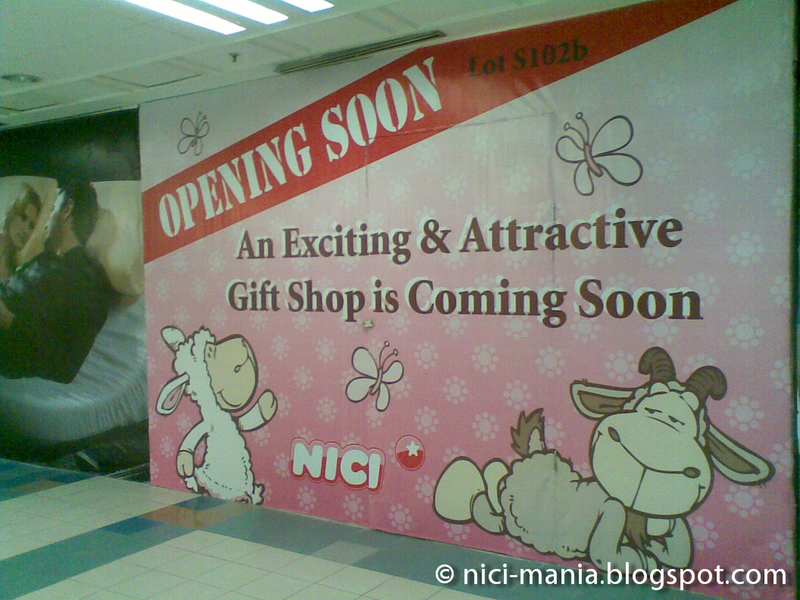 NICI-Mania sets out to KL Malaysia recently to find out. We arrived at 1Utama shopping centre, almost the entire old wing is under renovation and we found the front door of the NICI outlet. Its still on the same floor but the shop location seemed different. We then made a call to Win Malaysia, the retailer for NICI toys to inquire. So for those we are interested to know, the person in charge says the reopening is gonna be in August and she hinted that there might be a NICI sales upon the reopening. If you went all the way to 1Utama and encounter the same situation as us, do not fret. Walk to the new wing and look for...Parkson! 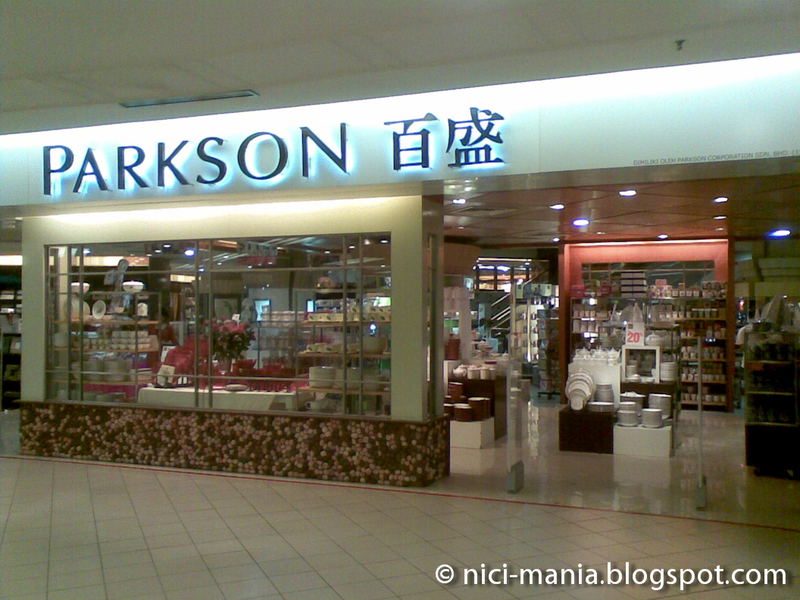 As we mentioned before in our February post, you can find NICI toys in Parkson other than the NICI outlet. 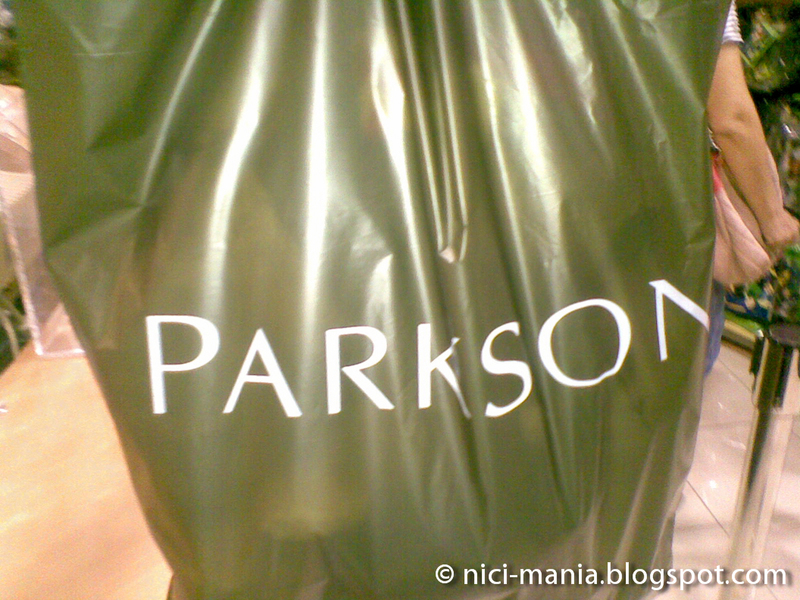 But not all Parkson departmental stores have NICI, please bear that in mind. Win Malaysia's recommendation is to go to Parkson at KLCC or Pavillion. As we inch closer into the toys department of Parkson, we found the shelf of NICI toys!! Although its only half the shelf but we are still very excited. 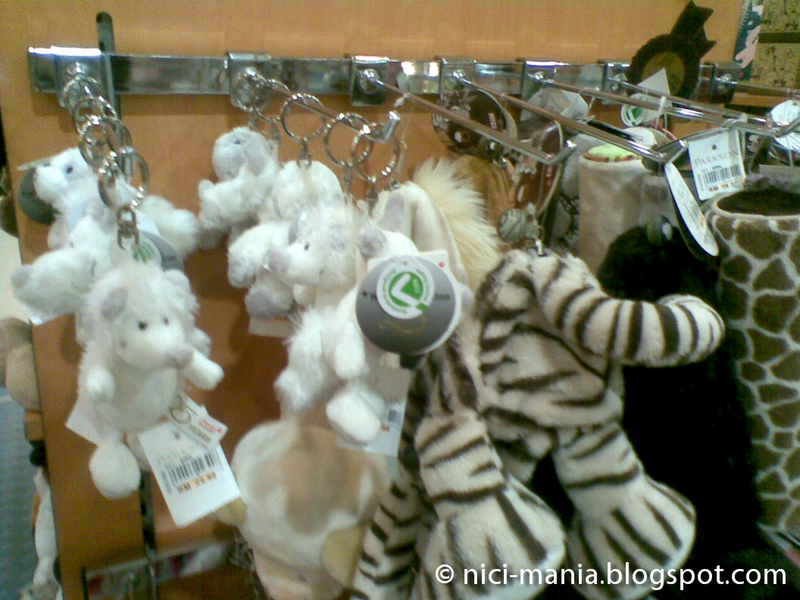 NICI limited edition keychains, the White Collection which consist of hedgehog, fox, raccoon, gorilla. There are some NICI wild friends pencil case on the right. Its quite expensive, RM75.90 for one iirc. NICI bus keyrings! 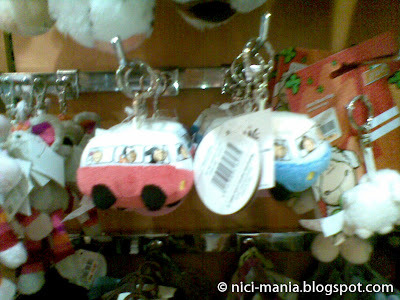 There are a few NICI bus cushion too, both red and blue. NICI Little Wingels at the bottom (not pictured), we move on to explore the shelf and.. Surprise! We found NICI Wild Friends jewelry box and Jolly Rosa music box! They are gorgeous. We looked up and found Hugo Wolf! Two 50cm and a 25cm Hugo Wolf with a very lonely 25cm NICI Rob Raccoon. 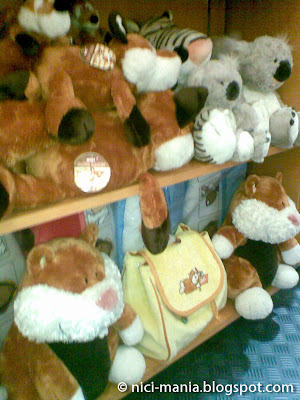 NICI Koala, NICI Hamster, NICI Fox and a TG Tiger that was bought by a guy in white cap. Also, the real NICI Horse Club (not our fake, hehe), NICI Dino and there are some 15cm and 25cm Jolly Liselle and Jolly Svenja at the most bottom. There is still the 10% discount off the price tag for all the NICI products and an additional 5% rebate to your Parkson Elite card if you have one. Our NICI adventure at 1Utama did not end there, we passed by S&J gift shop and was welcomed by a pleasant surprise..did you see it? Its Milo Gorilla! We rushed into the shop to see and found out their tag did not spell NICI. This is not a fake NICI, its an imitation. The fur of pirated Milo Gorilla is very soft and smooth, almost like the real NICI! 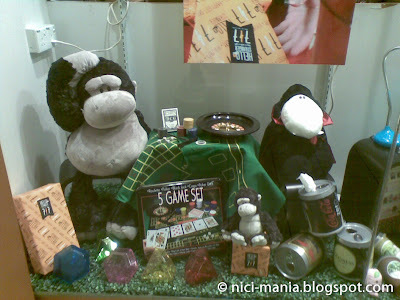 The price is less than half of the original NICI Gorilla. Extremely tempting to buy! There were also two 50cm snow cats, also half the price. 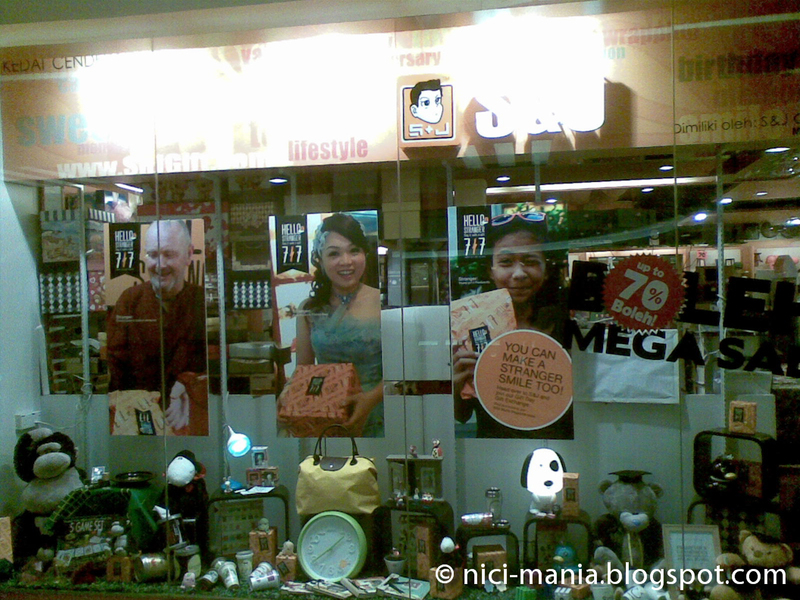 Thats it for now, hope our 1Utama NICI outlet report was useful for you! gustav and elsa look so happy and carefree together!! 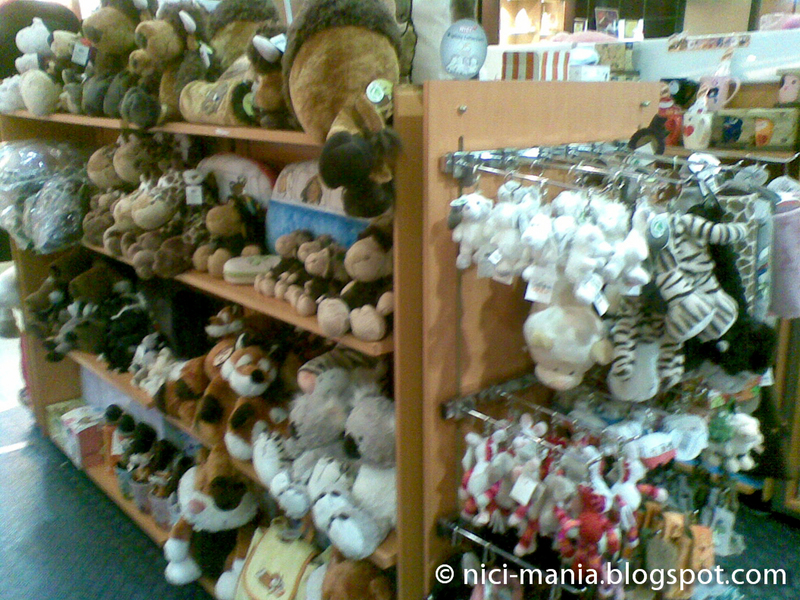 I can't wait to see what you bought there, this store is a paradise for Nici-addicts like us! Anxious to find out what you bought yourself. Sure looks like you had a good time in that shop! Thanks for sharing. The hamster is from a very old series. Not many left now! @NICI-Wildfriends: You're welcome! :D Glad our info was useful. The wild friends jewellery box and the jolly rosa music box are both very tempting to buy. Maybe in our next trip in a few months! @Raquel: You're right Raquel! 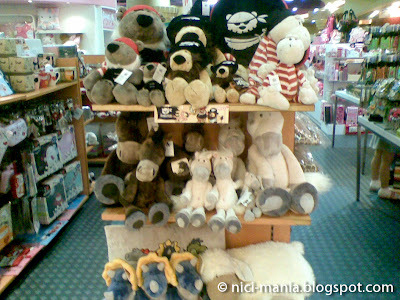 We actually spent more than half an hour circling around the shelf looking at each and every one of the nici plushies. It is our shopping paradise! @potamotrygorgeous: You're welcome! 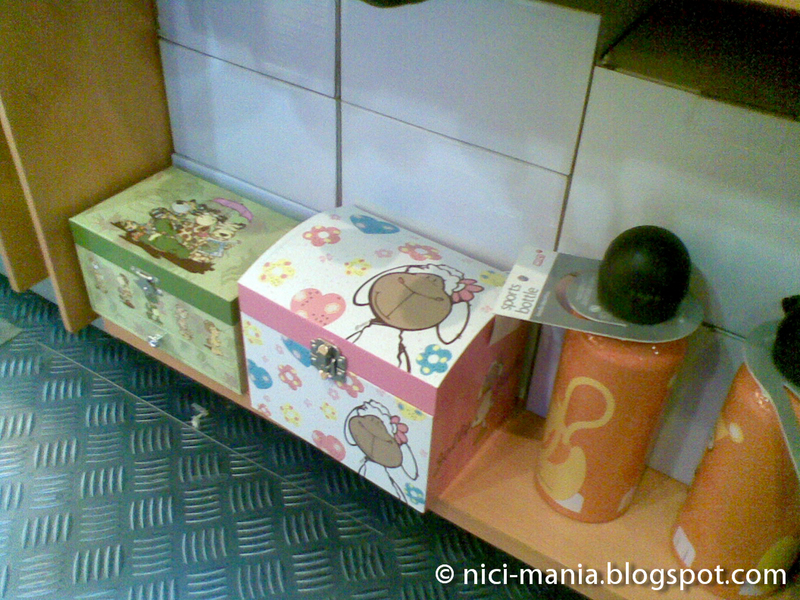 :) We could have gotten more discount from the NICI outlet that was closed, so we didn't buy a lot here. Pictures coming up later! 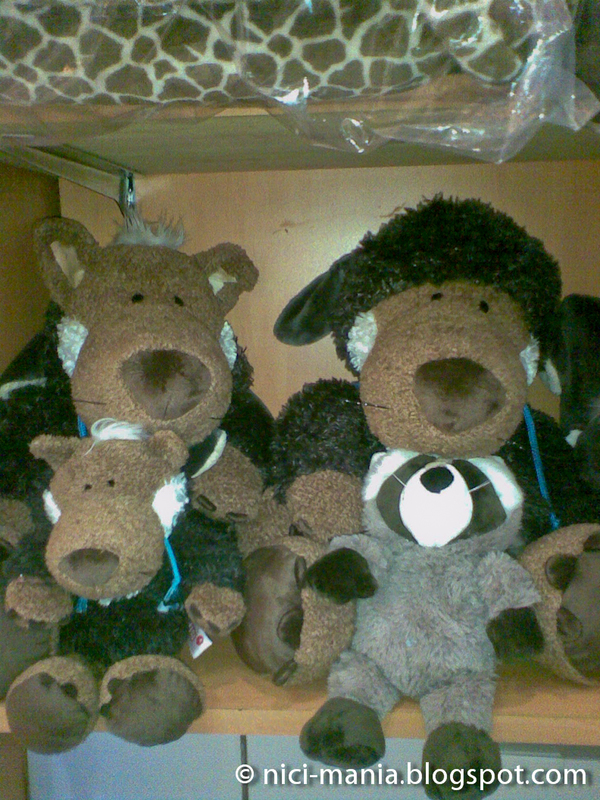 Hugo is a NICI wolf plush in sheep's clothing, he loves to make friends with sheep. Rosa is a fashionable NICI sheep. Everyone here adores her but Hugo in particular is madly in love with her. Lucy and Lenny! - ^^ Lucy and Lenny. Copyright © nici-mania.blogspot.com 2010. Logos, background image, page buttons by NICI-Mania. Awesome Inc. theme. Powered by Blogger.